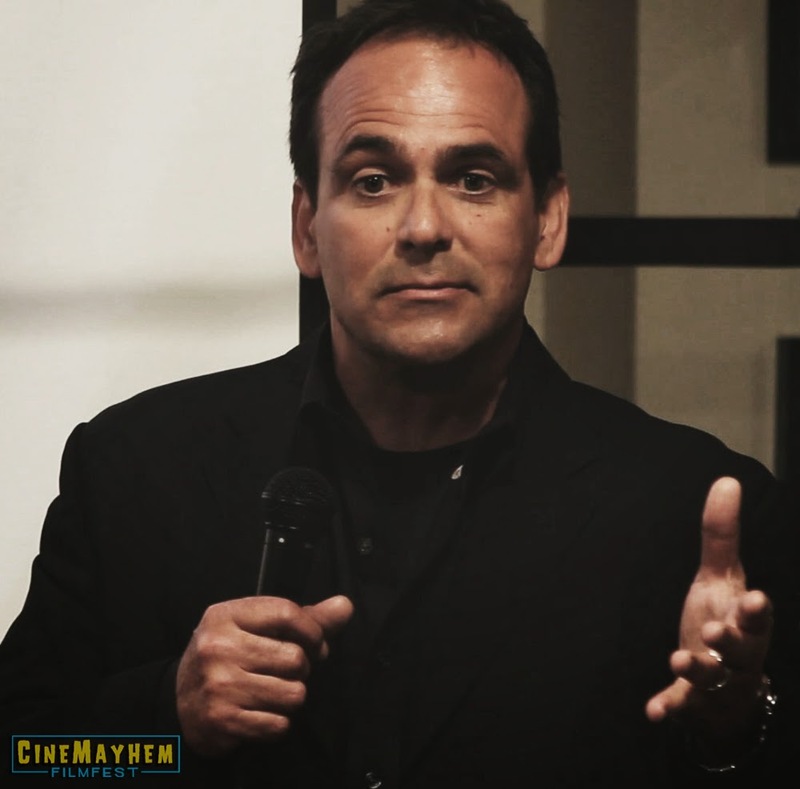 It's been a few months but now that the Halloween season is behind us, we're beginning to look forward towards 2015 and planning for next year's CineMayhem Film Fest which will be held in the month of April in the Los Angeles area. And as we continue to iron out details for next year's fest, we are pleased to announce that we will be going back towards our original programming vision of being able to celebrate both classic and contemporary independent horror and sci-fi films for CineMayhem 2015 once again which means we would love to hear from all you indie filmmakers out there who have new projects they'd like to showcase in the near future. For those interested, you can download a submission form HERE and all entry fees can be processed through the PayPal section on the right side of this page as well. 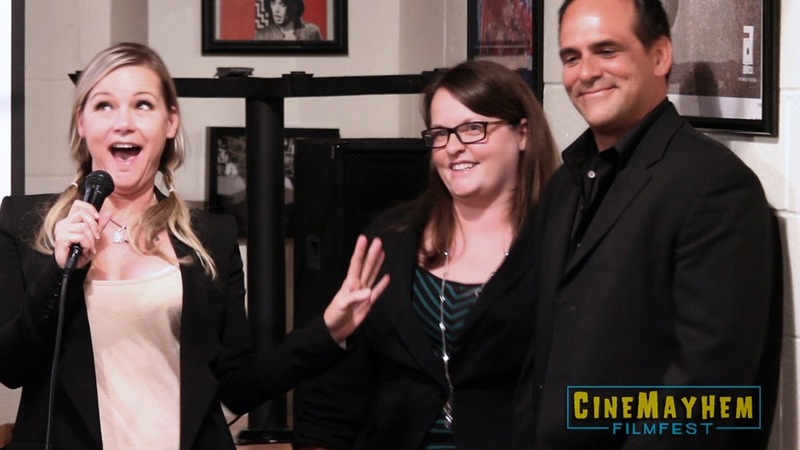 Thanks so much and here's to a successful 2015 CineMayhem Film Fest! 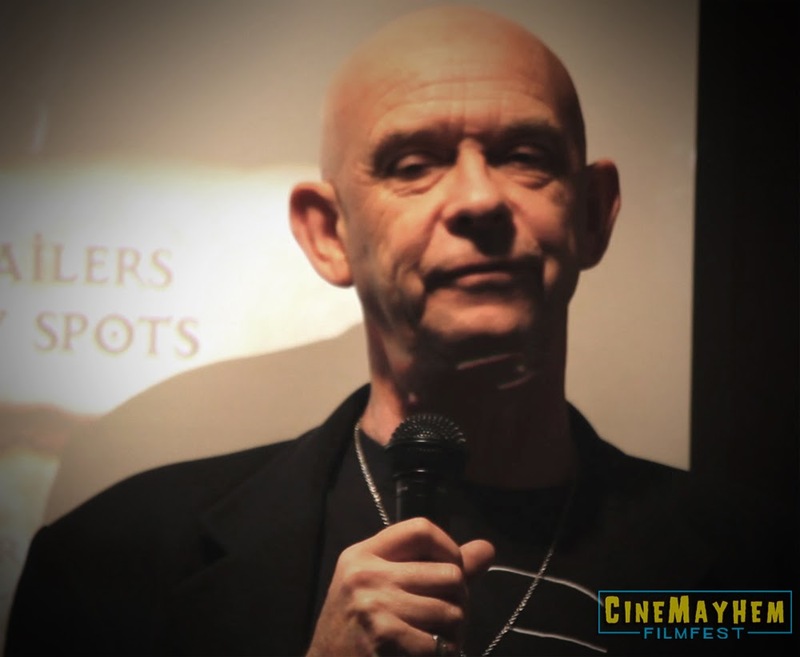 For our final evening of CineMayhem 2014, those in attendance were treated to a surprise visit from none other than HELLRAISER star and horror icon, Doug Bradley who dropped by the Jumpcut Cafe in Studio City to introduce Clive Barker's visionary feature film debut and discuss his experiences in the world of Pinhead over the last few decades now. 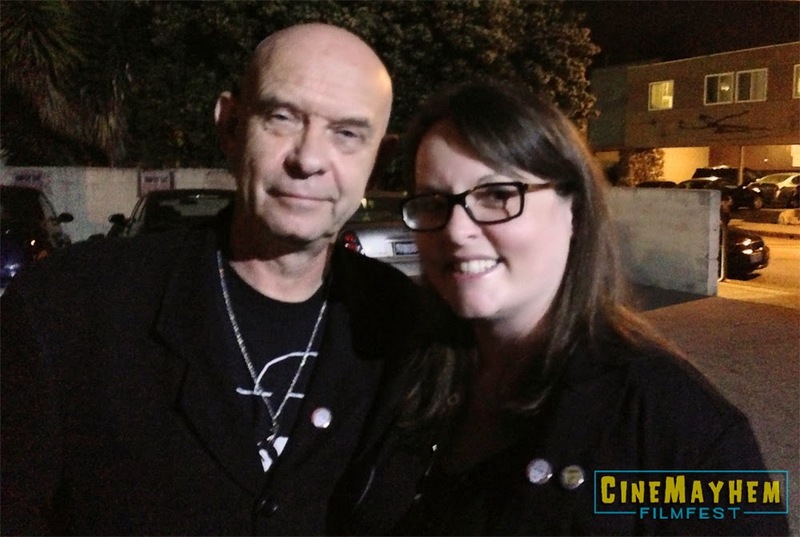 Doug was incredibly gracious with his time and spent a good deal of time chatting about growing up with Clive, his early career and the path to playing Pinhead in the original HELLRAISER, how the character and his story has evolved throughout the franchise and so much more. Check out Doug's highly entertaining discussion of all things HELLRAISER below and be sure to stick around to the end for a very special video tribute to CineMayhem's special guest and the franchise he's poured his heart and soul into for the last 28 years. On Saturday, March 30th, CineMayhem Film Fest celebrated the criminally underrated horror comedy VAMP which premiered in theaters the summer of 1986. Co-written and directed by Richard Wenk (The Expendables, The Mechanic), VAMP starred Chris Makepeace, Robert Rusler, Gedde Watanabe, Sandy Baron and the otherworldly Grace Jones. 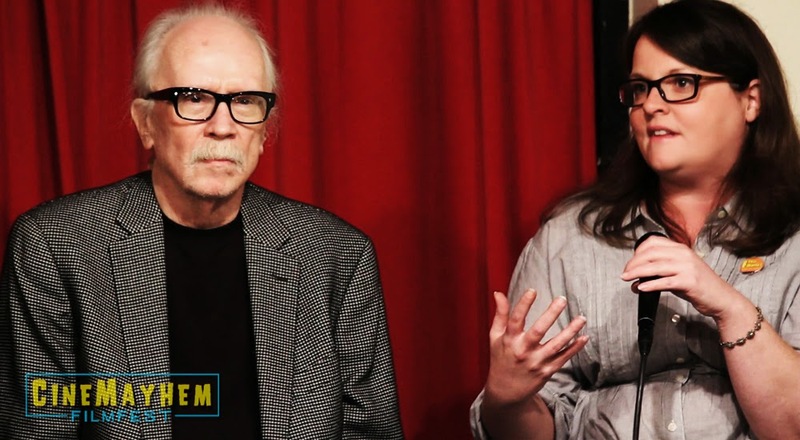 For CineMayhem's VAMP screening, we had planned for our special guest Rusler to join us for a pre-screening Q&A; little did we know he was going to bring along a few friends- the aforementioned Wenk, Pfeiffer and co-writer/producer Donald P. Borchers- for an incredible reunion Q&A event. 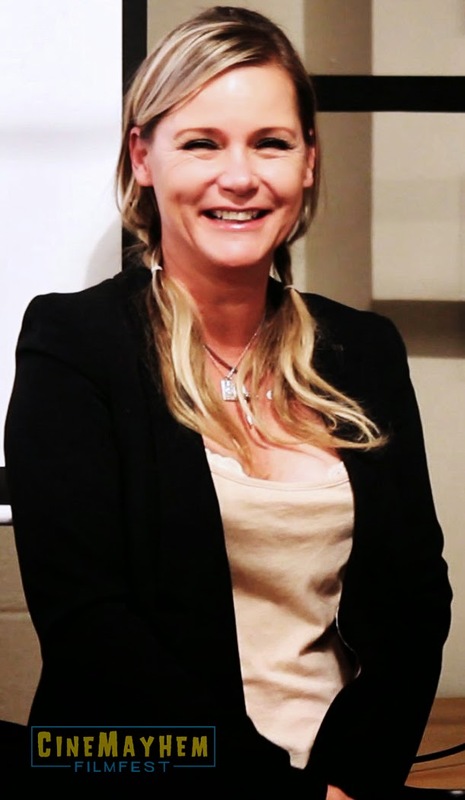 Check out the highlights from the VAMP Q&A below! 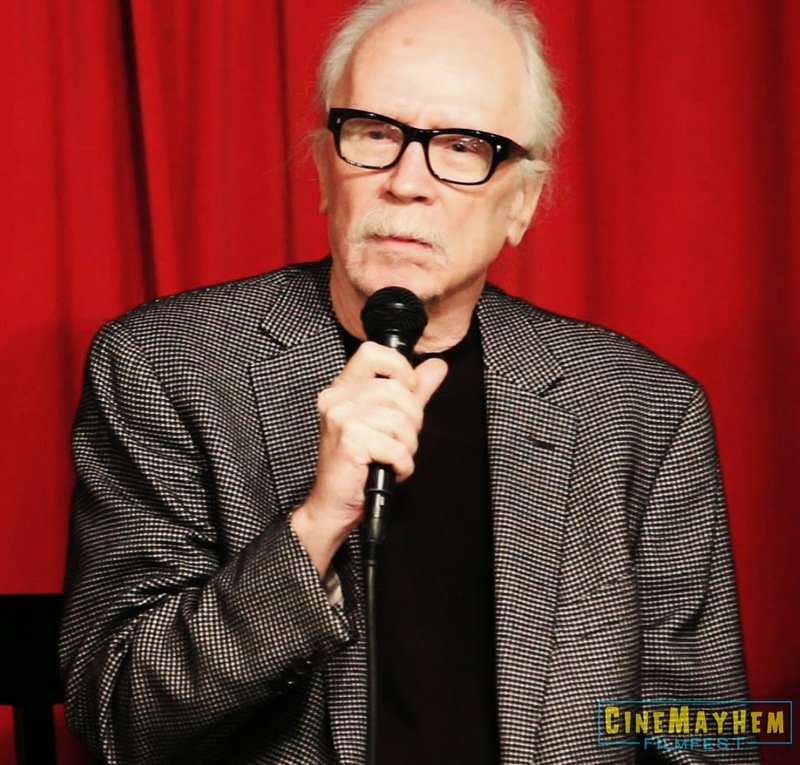 Last Friday, CineMayhem Film Fest 2014 kicked off at Jumpcut Cafe with an incredible discussion of the 1980 classic horror film THE FOG with none other than co-writer/director John Carpenter. For those of you who were unable to join us for the festivities, we've put together video highlights from the Q&A panel below. 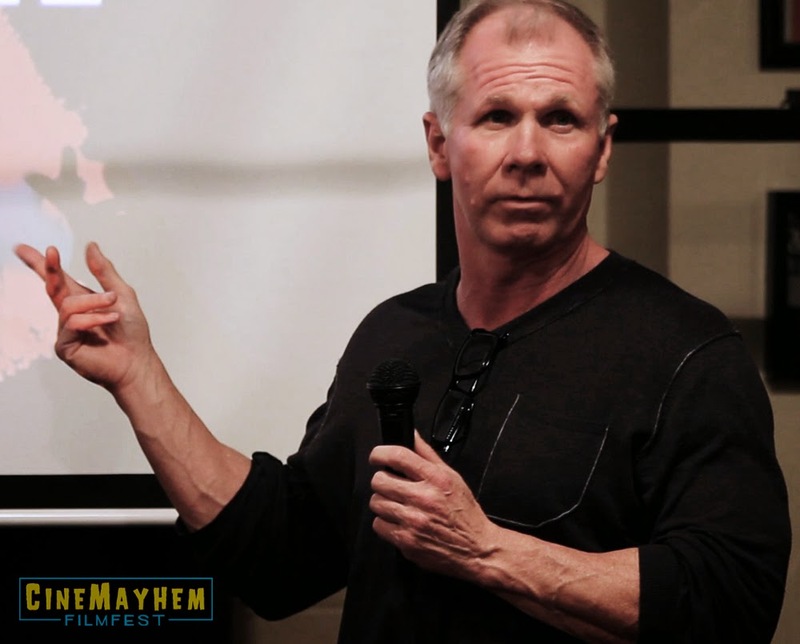 Special thanks to Sandy King Carpenter for joining us at CineMayhem 2014 as well- truly an honor to have them both with us for this great evening celebrating classic indie horror. Video highlights from our VAMP & HELLRAISER celebrations will be coming in the next few days. To say that the second annual CineMayhem Film Fest was incredible would be something of an understatement. We had three nights of highly entertaining and truly engaging Q&A's, surprise guests, five fantastic short films by several up-and-coming independent filmmakers and hordes of horror fans coming together to celebrate everything that makes our beloved genre so great. 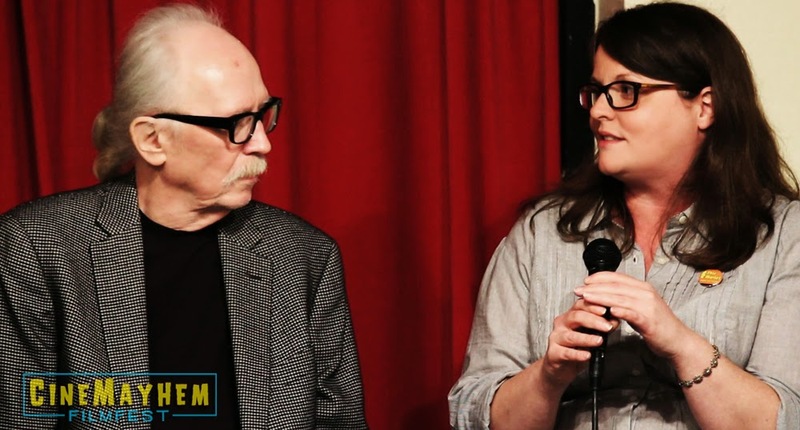 On Friday evening, iconic filmmaker John Carpenter and producer Sandy King Carpenter came out to Jumpcut Cafe in Studio City and joined us for a very special chat about THE FOG and much more. 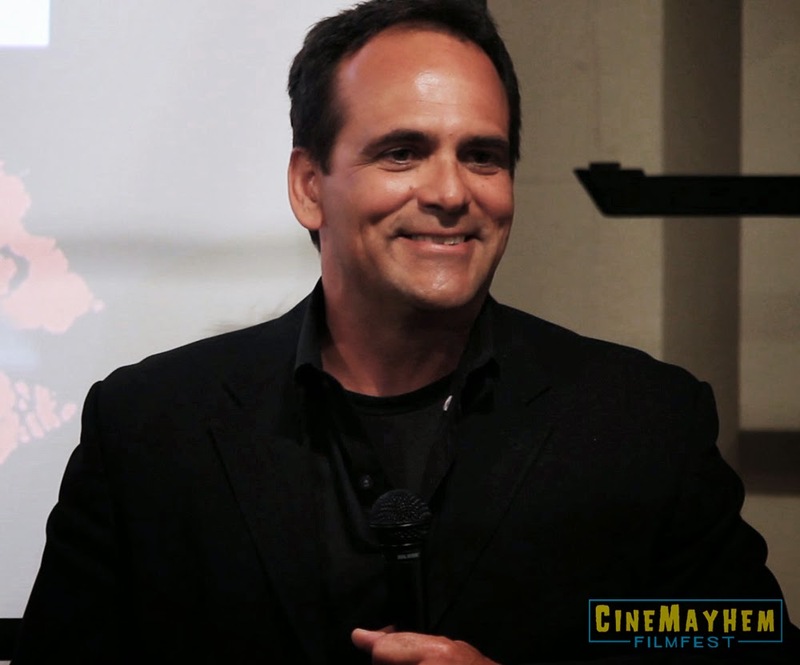 CineMayhem Film Fest celebrated the cult classic VAMP on Saturday night with actor Robert Rusler (Weird Science, A Nightmare on Elm Street 2: Freddy's Revenge) in attendance. Rusler also brought along a few VAMP friends with him including director Richard Wenk (The Expendables 2, The Mechanic), producer Donald P. Borchers (Children of the Corn, The Beastmaster) and the one and only DeDee Pfeiffer (The Horror Show, Falling Down). 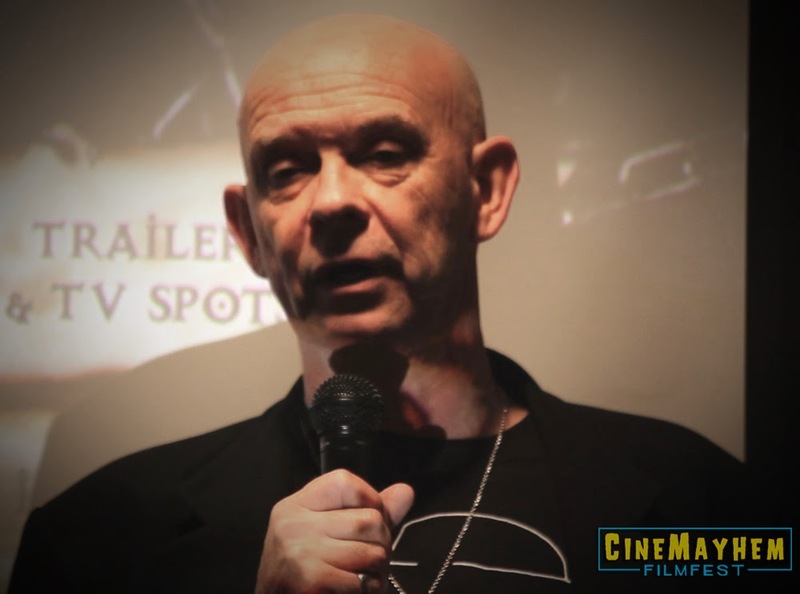 CineMayhem concluded on Sunday evening with a surprise visit by none other than Doug Bradley who popped into Jumpcut for a quick Q&A discussion before our final fest screening of HELLRAISER. We were also very fortunate to have had the opportunity to showcase the Moontribe portrait series by none other than Master of Horror Clive Barker. 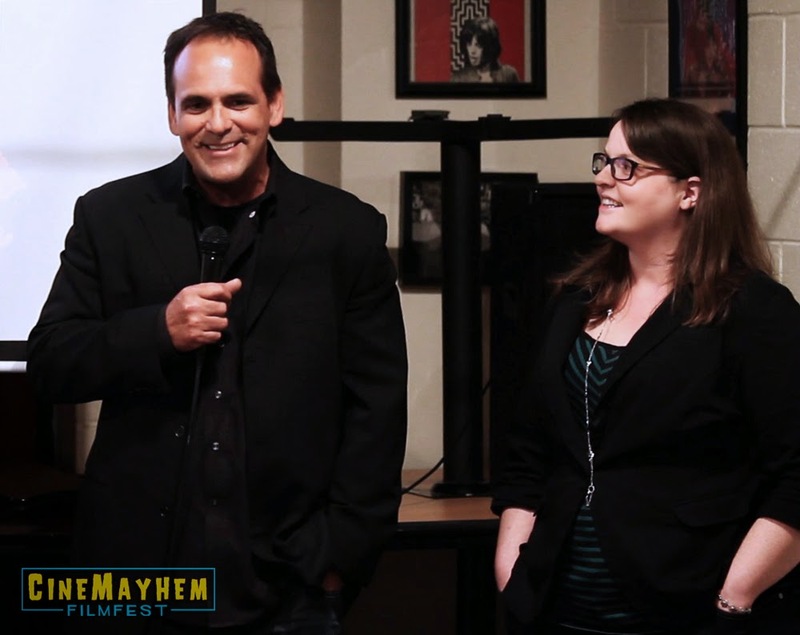 Check out the 2014 CineMayhem Film Fest photo gallery below and we will be posting video highlights from each CineMayhem Q&A later this week too so be sure to check back for more from this weekend's celebration of cult and classic horror cinema. Also, a huge thank you to Elric Kane, the entire staff of Jumpcut Cafe and Chelsea Patterson of Cutestreak Designs for all the amazing work they put in to make sure that CineMayhem went off without a hitch as well as a special thanks to our sponsors Daily Dead and Scream Factory for their support. And finally, I just wanted to thank each and every one of you who came out this weekend and supported us and showed their love for some truly amazing horror films- CineMayhem could NOT have happened without you all and I thank you from the bottom of my horror-loving heart for making all three days so incredible for me personally. 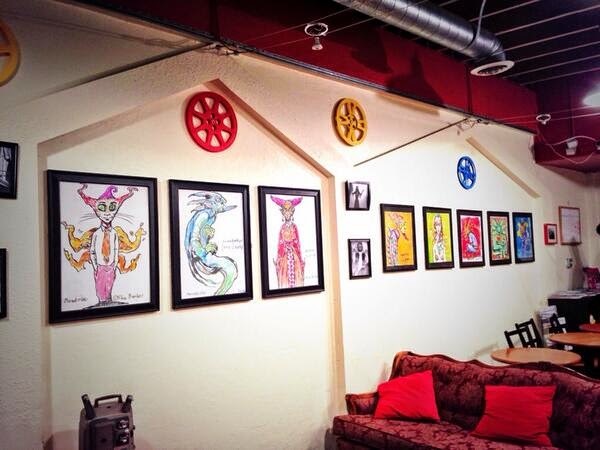 With CineMayhem just a few days away, I thought it would be fun to give you guys a sneak peek at the Moontribe art series by Clive Barker we'll be showcasing at Jumpcut Cafe this weekend! And with CineMayhem less than a week away, I thought now was the perfect time to share this interview again with everyone as we gear up to celebrate THE FOG this Friday at Jumpcut Cafe. Check out part two below!